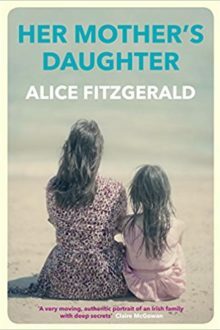 Her Mother’s Daughter is the debut novel from journalist and writer Alice Fitzgerald, just published with Allen & Unwin. 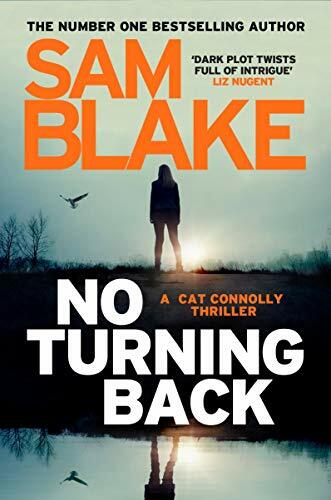 It is a novel set across two decades telling the tale of ‘a troubled and emotionally abusive mother and her innocent ten-year-old daughter’ against the backdrop of London and Ireland. Her Mother’s Daughter is described as a very ‘thought-provoking book-club read’ and I would be inclined to agree. 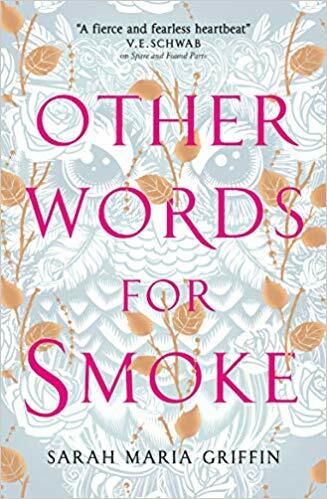 There are so many societal issues touched upon in this novel including emigration, family traumas, sexual abuse, food, alcohol abuse and of course that special relationship between mother and daughter. Taking us on a journey across the 1980’s and 1990’s, we follow the stories of Josephine and Clare, a mother and daughter. Josephine leaves Ireland, a young impressionable girl with a secret to keep. She arrives in London full of hope that she can move on and live a rewarding life, filled with love and understanding. Reared in a family where little compassion was ever shown, Josephine couldn’t wait to leave her childhood home. As soon as she had funding, with the assistance from her grandmother, the one person she loved dearly, Josephine packed her bags and left Ireland with a pocket full of dreams. Josephine soon settles into life in London, making new friends, discovering new styles and starting to like herself a little again. She moves into a flat with a bunch of other young girls and, with her new friends, Josephine feels ready to face the world. She meets a variety of young men, but it is Michael Reilly who finally catches her eye. Michael is the one that shows Josephine what it is to be loved, to be cared for, to be counted in life. After a brief courtship, Michael proposes and Josephine accepts, but not before she opens up to Michael and reveals her innermost secret, the secret that has consumed her for years and resulted in her having very little respect and confidence in herself. With Michael, Josephine looks forward to a new beginning, a fresh start but can this really happen? Can Josephine forget her past completely and move on with her life? Having a daughter proves a very challenging step for Josephine. Blighted with guilt and memories, Josephine gets bitter and angry, with her little girl Clare, baring the brunt of her mood swings. Alice Fitzgerald expertly switches the narrative between the two, as we see the world through the eyes of mother and child. The innocence of Clare is in parallel to the emotional abuse thrown at her by her mother. Clare is old enough to absorb the hurt and let it sink into her mind. Clare watches her mother’s approach to food, her obsession with her figure and takes on board her mother’s negative attitude to eating. You cannot but think of the future that awaits Clare and the issues that will arise as she moves into her teenage years. Josephine does love Clare, and her younger brother Thomas, and there are some very touching moments between them, but it is clear that Josephine is struggling. Michael, her husband, is understanding and patient with Josephine, but even his empathy has limits. 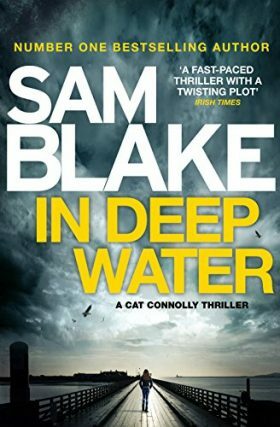 The issue of mental health plays a very strong role in this book. Josephine carried her secret around with her, never dealing with it, but that was very much a reflection of the time. In society today, people are hopefully a little more open about mental health issues and there are services available to assist folk when needed. There is a domino affect to Josephine’s actions that ripple through her family. Those who love her the most, suffer the most from her intermittent disillusionment and sadness. Alice Fitzgerald writes with a very expressive hand giving the reader an, at times, quite descriptive insight into the mindset of the abused. Josephine is clearly damaged and as a reader, my reactions toward her were a mix of sympathy, frustration and anger. In contrast Clare’s story didn’t carry the same emotional impact for me, as it is told in the factual manner of a child. This is her life. This is how it is. I would have loved to see the ending of the novel fleshed out a little more (a very minor personal quibble), but overall Her Mother’s Daughter raises so many important issues for us all and how our actions, as adults and parents, can influence the future lives of our children. An impressive debut, Her Mother’s Daughter, due to the subject matter, may not appeal to all, but it is a book that will make you stop and think…..and that can only be a good thing.